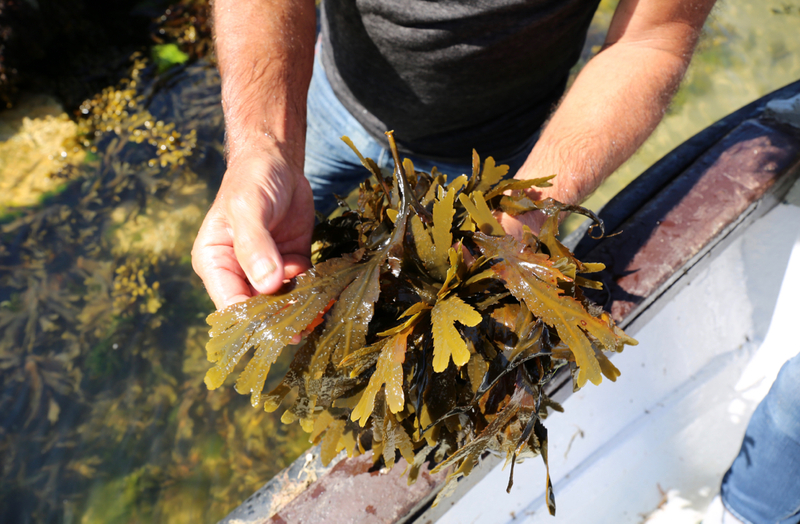 We spent a glorious morning in Poole Harbour last week, foraging for seaweed with fisherman Pete Miles. The trip was for one of the ‘Meet the Maker’ podcasts that we’re producing for LUSH cosmetics who use the weed in their face masks. Fascinating to find out all about ‘toothed wrack’ (pictured) against a rich sonic background of Brownsea Island sandwich terns, splashing water, engine noises and seagulls. This is the first in a series of ‘Meet the Maker’ podcasts that we are producing for LUSH cosmetics, in collaboration with Cathy Haynes. The aim is to give a sensory rich insight into the craft of making. 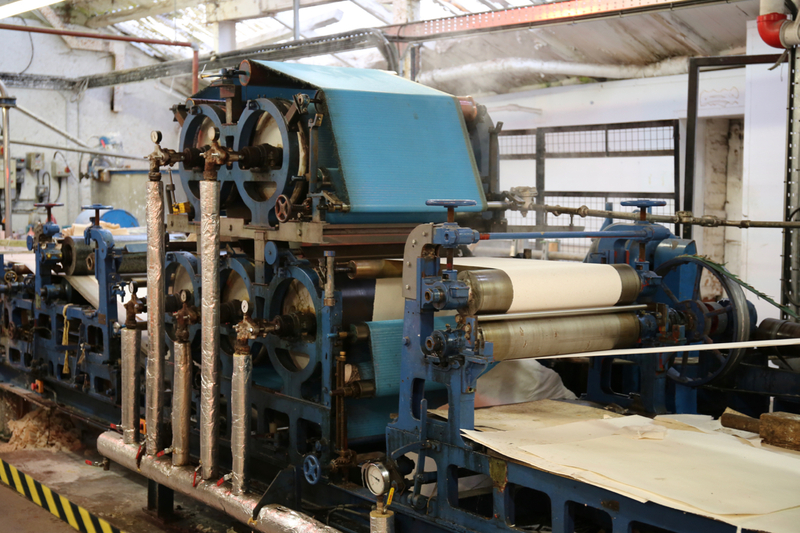 Here, we follow Master Paper Maker Gary Fuller at Frogmore Mill, Apsley as he produces a new kind of packaging paper using banana fibre. When the machines were rolling the Mill was incredibly noisy! The challenge for us was both to capture Gary’s voice as cleanly as possibly, and to record and mix in the mechanical sounds so as to give the listener the feeling of being inside the Mill as the paper was being made. The podcast is available to listen to on the LUSH player. A fascinating day last week listening to the hums, ticks and whistles of a 100 year old paper-making machine at Frogmore Mill, Apsley. 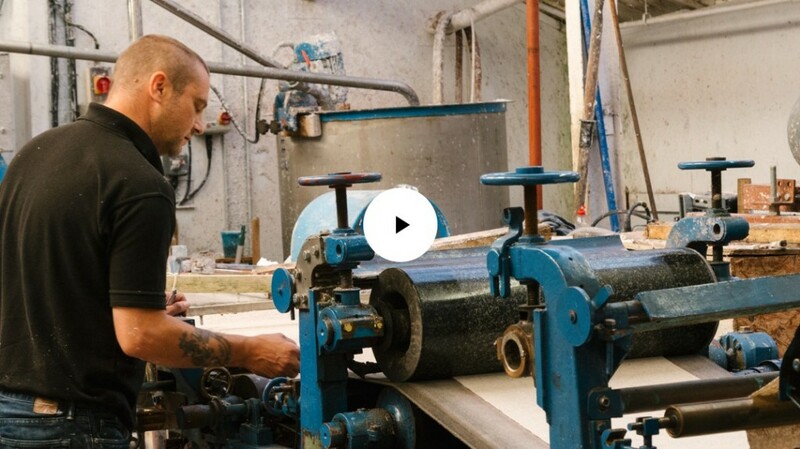 We were there to interview master paper maker Gary Fuller as he produced a special ream of packaging paper from banana fibre. It’s for the first in a series of ‘Meet the Maker’ podcasts that we are producing for LUSH cosmetics, about their suppliers.